Etiquette for invitations is as different as the occasions for which they are used. Every event has a unique quality that, you as the host, would like to show off. 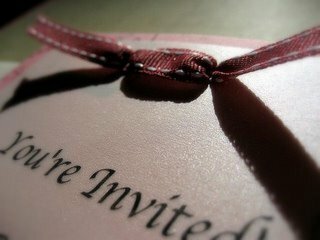 Using proper invitations will help to create the atmosphere before it all even starts. The common thread that all invitations hold is the fact that they need to be written, addressed and sent at the appropriate time. 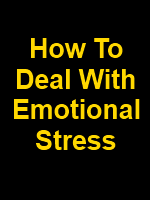 With a little planning and organization the process will be streamlined for you. What the occasion is. This is when the atmosphere starts. The date and timing of the event. You don't want your guests to show up early, late or on the wrong day. The address of the event. They need to know where to go and how to get there. Dress code. Nobody wants to show up for a beach party in semi-formal wear. What, if anything, they need to bring. If you would like your guests to contribute to the party it is good for them to know from the get go. RSVP. This is important so that you, as the host, can plan for numbers. Are extra guests, children welcome? Let your invitees know in advance so they can plan. Timing is everything with invitation manners. Depending on the event, your guests will need time to make arrangements. With formal events, such as weddings, send the invitations 8 weeks in advance. This will give your guests, especially those who need to make travel arrangements, enough time to plan. With events that are not so formal in nature, 2-3 weeks is plenty of time. Use your best judgement...you know your guests and what they need. Guests like it when you include a little note with your invitation. It makes it more personal. Invitation address etiquette calls for, first and foremost, spelling your guests' names correctly. I have always loved receiving an invitation when my name is misspelled. It sure makes it feel like the person inviting me really wants me to be there... not really. Next, be sure to use the guests proper titles. With doctors, it is appropriate to use "Dr. and Mrs. Ed O'Neil" for the address. For the address itself, spell everything out. Do not use abbreviations. It is good etiquette plain and simple. Good envelope etiquette with invitations is taking the time to hand address each one. This shows a sweet personal touch...and you can make sure everything is right on each one. There are times when email etiquette for an invitation is acceptable. Etiquette for invitations used this way calls for the same list of details as outlined above. For those of us attached to our computers, it is an effective way to blast out an invitation for a dinner, block or birthday party. Some bride and grooms use emails as their 'save the date'. Invitations can be fun, simple and a great way to start off your event. Everyone loves to receive an invitation for something special. Using your manners when inviting your guests will give your event the "you don't want to miss this one" atmosphere.